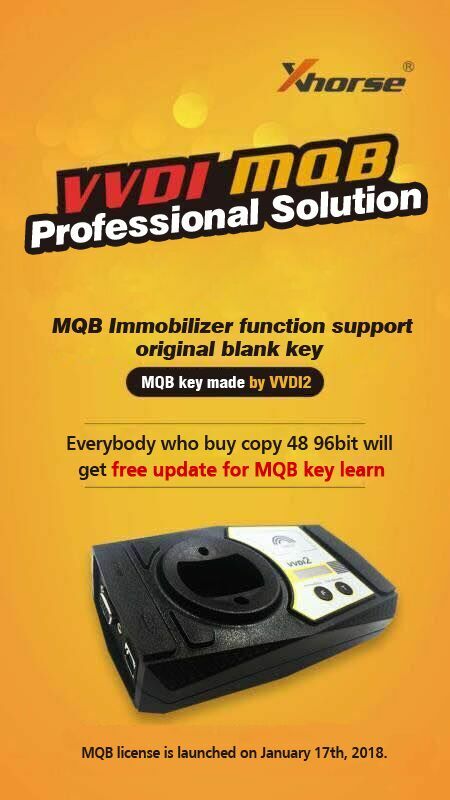 1.VVDI2 now add VB-03 BMW FEM/BDC functions,you can pay for this function. 2.VVDI 96bit ID48 cloning costs 100 points each time. You can pay 15USD for 1 token. Support Volkswagen, Audi, Skoda, Seat, Porsche, Bentley ect. ODIS, Toyota TIS techstream etc. To perform VVDI2 diagnostic function, third-party diagnostic software should be compatible with J2534 function. 3.in FEM/BDC interface, if 'get key info' the type not support, it will show:customer should use "BMW E-sys software" program FEM/BDC system. please refer to the software diagram, select the correct one. VVDI PROG includes all the VVDI functions, The function of Tango, Remote control generation and chip identification is improved, And also the coil’s stability has been enhanced. More ever, Users do no need to connect VVDI PROG with computer or other devices to identify chip or detect remote frequently. Apart from free update online service and system optimization, more powerful functions and vehicle models (Like Porsche) will soon be available via update. And other more functions, you name it. 1. I successfully added a key bcm2 on a 2013 audi a5. 1. Q: I do have BMW X5 from 2013+ , it's F15 with CAS4+ I guess and 5M48H, it has all keys lost. What equipment I should buy from you to make a new key? 2. Q: I want to open component security function. what should i do? 3. Q: Hello. I purchased this product and it says at the top... re synchronization in 23 days.. How do you re synchronization the device...Thank you. 4. 06 range rover sport CEM read ok, made a key with VVDI2 immo data tool.. Great! if you reset a PCF, you no longer have an option to go back to life, you need a lot of information to be able to use it again, you need flasheROM and eep-extended, it does not only work with hitag pages. Another option is someone who passes the firmware for the pcf and remote you need. that option I think no one will give it freely. What you have left is to leave the PCF blank and your investigate. If for some reason a manufacturer makes the mistake and does not block the PCF and you are lucky to take that full firmware already have an option for your investigation. 5.Q: Did you do via via OBD or read dump from bcm2 for safety, there is a case here where attempting to read data via OBD bricked car. A: It was newbie and he did all key lost by OBD. If you read manual carefully you will see that all key lost need to read BCM2 by BDM first. Also all keys lost possible by obd. Have to disconnect the bcm2 module then reconnect it in the process. Done a few a4s and q5s all keys lost without problems. 7.Q: I tried to use Xhorse VVDI2 do a 2011 Audi Q5 this weekend. Tried initially to read via OBD but no joy. I then took out and read the BCM by BDM and made a dealer key. Now the ignition wont come on as there's no start switch. Is there any way to force ignition on? Have I damaged something or bricked it? Any solution will be greatly appreciated. A: You did spare key or all key lost?? If all key lost you won’t have ignition with dealer key. You have to put dealer key in slot than press brake pedal and turn off/on lights by light switch simultaneously than enter key learning option and that’s it. I did q5 from 2011 EU no problem. Car arrived with faulty BCM2 (remote locking did not work), so I made some experiments on this car and have checked all functionality of VVDI2 and had no issue with it. 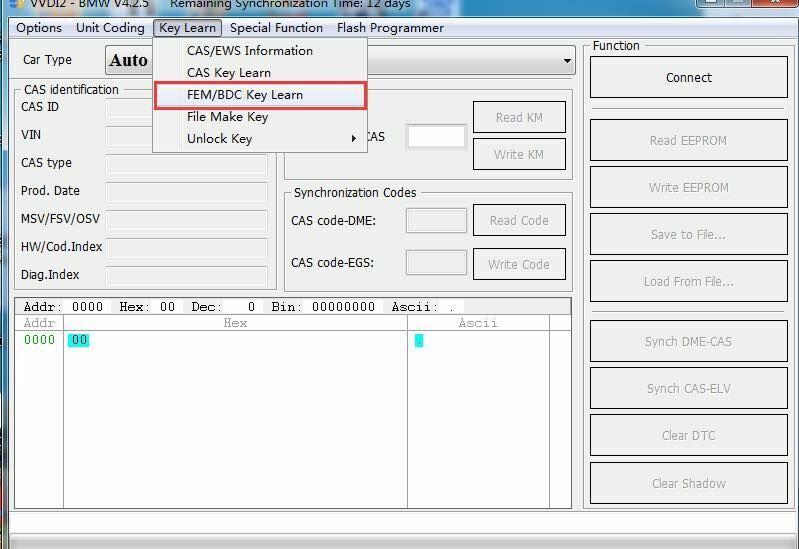 This is generally the procedure to make a spare key for A6L / Q7/ EZS-Kessy (JB18).
. Insert dealer key into car and switch on for 2 seconds. Then put second key into ignition within 5 seconds. Then press okay after keys are learned. Caddy 2014 nec +24c64 2013- , all keys lost, done by service mode, then add key.